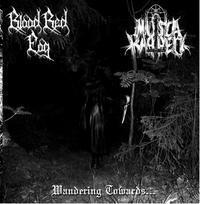 Blood Red Fog plays Finnish Black Metal creating a very dark atmosphere with catchy riffs and some synths. Musta Kappeli is continueing where Gehenna stopped with their ""First Spell"" mini album. Expect mid tempo black metal with dark melodies and really raw vocals.